Two moms whose late sons suffered from a degenerative brain condition associated with the type of head impacts common in collision sports are suing the biggest youth football league in the U.S. But one neurologist says there is still a lot scientists don't understand about brain injury in sport. "You guys better follow the ball!" yells Michael Wagner, coach of the El Segundo Little Eagles. The young football players, all of them under the age of 14, converge on the running back in a tangle of teenage limbs. Their skinny bodies and oversized helmets may give them the appearance of little bobbleheads, but the hits are so hard their parents can hear them from the stands. 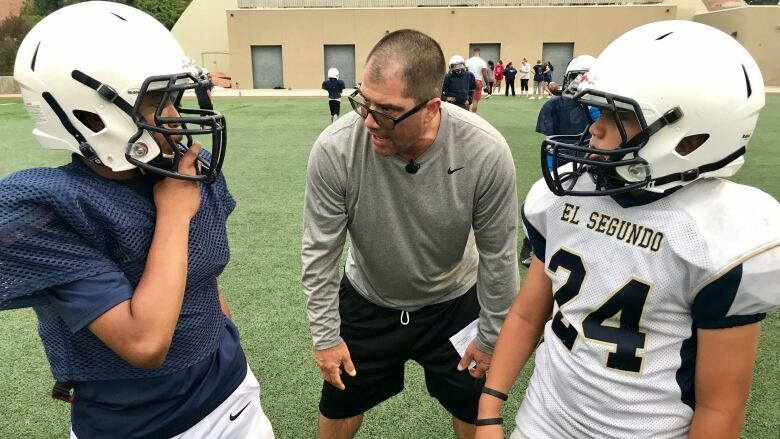 The team, based in El Segundo, a coastal city 18 km south of Los Angeles, plays in a league run by Pop Warner Little Scholars (PWLS), the largest youth football program in the U.S.
Football is "the last gladiator sport," says Wagner, but these days, it's getting harder and harder to recruit new gladiators. Parents, he says, have been "scared off" by reports in the media about the potential damage that hits to the head can cause to the brain. As the dangers of head injuries have become more well known, youth participation in one of the most popular sports in the U.S. has dropped more than 20 per cent over the past decade, according to the U.S. Sports and Fitness Industry Association. One study that attached accelerometers to young players' helmets found they take around 250 hits to the head each season, and there is a body of research that has linked repeated head impacts in sports like football and boxing with concussions and chronic traumatic encephalopathy (CTE), a degenerative brain condition that can only be diagnosed after death. Wagner says news coverage of such research has made parents anxious. "We're pariahs now as football coaches," he said. "I think they painted a false narrative that youth football is going to kill your kid." But to Jo Cornell, it's not a false narrative; it's the story of her son, Tyler. "I miss my son," she said, tearing up. "I'll never see him again. He'll never give me a hug. I'll never make him a meal. I'll never have him come through my door. And I have to live with that. And it's a terrible price." 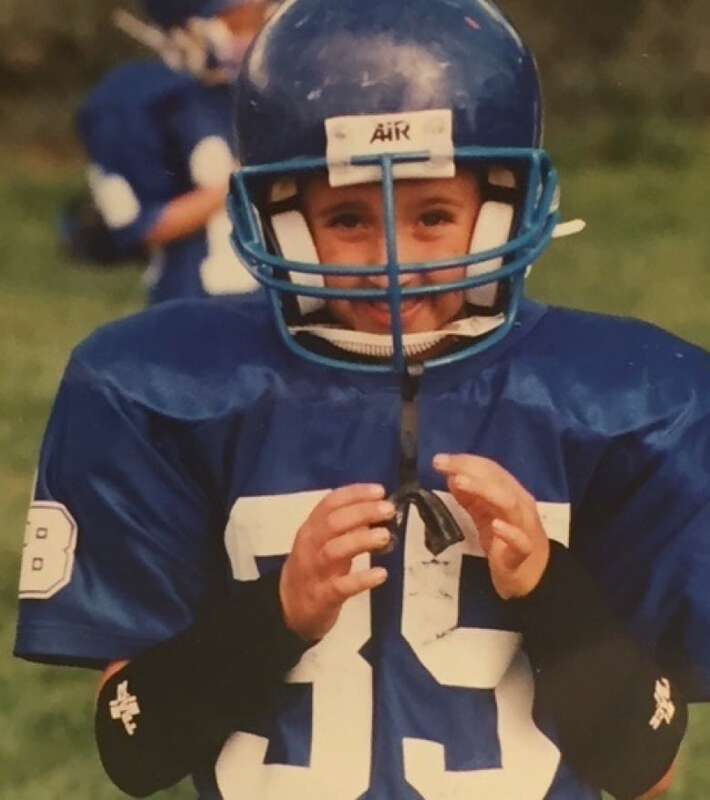 Tyler played Pop Warner tackle football from the age of eight to 14. He anchored an offensive line that helped carry the Rancho Bernardo Raptors to the Pop Warner Super Bowl in 2001. Cornell says Tyler never sustained a concussion or showed any symptoms until the end of high school, when he began to suffer from depression. "I would later find that his brain was slowly dying," Cornell said. On April 3, 2014, at the beginning of a new university semester, instead of going to class, Tyler, 25 at the time, drove to his grandparents' home, took their gun and shot himself. A brain autopsy revealed he suffered from chronic traumatic encephalopathy. "To know that it was from a game that he loved, it's awful," Cornell said. "Tyler loved football, but football didn't love him back." 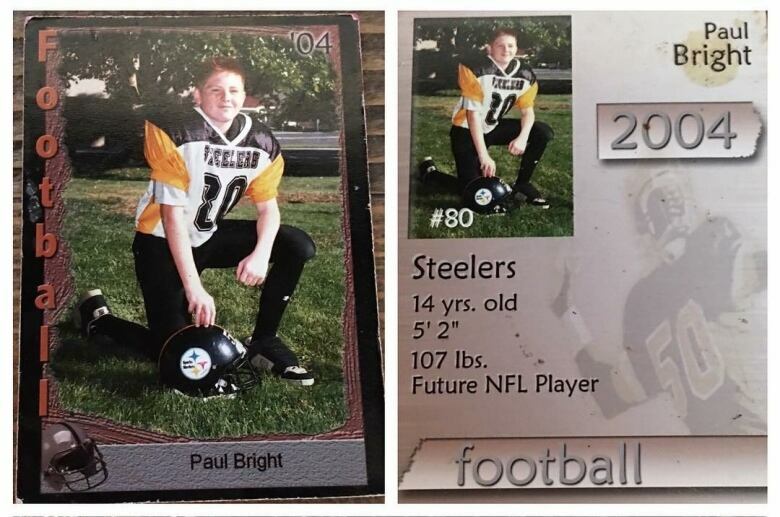 Kimberly Archie's son, Paul Bright Jr., who also played youth football without reporting any concussions, died five months after Tyler, at the age of 24, in a motorcycle crash. Archie says his behaviour had been erratic months before his death, so when he died, she donated his brain to the Boston University CTE Center and asked a pathologist to examine it. "His CTE was in the exact place that they would expect it in someone who played football," Archie said. Archie and Cornell decided to sue Pop Warner in 2016, claiming the football program didn't do enough to warn parents or protect children from the risks. 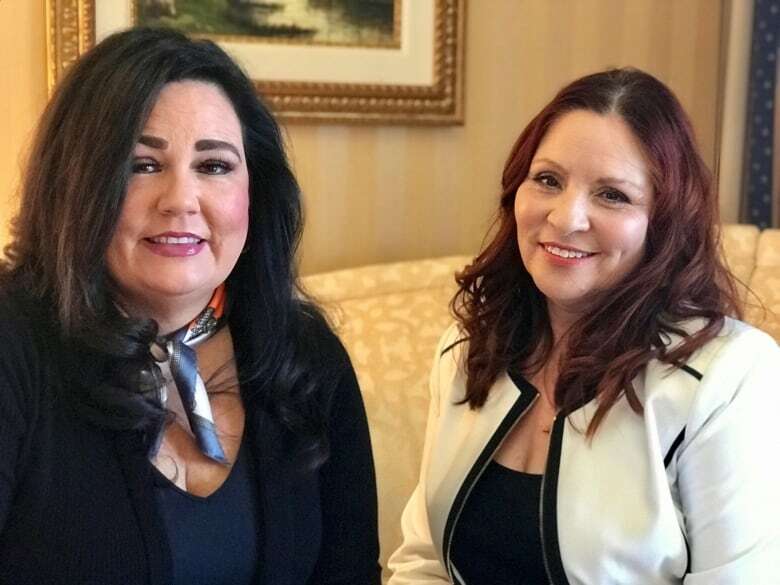 "Ultimately, the reason that we filed the lawsuit against Pop Warner was for justice, for a search for the truth, to make a difference, to stop even one family from burying their child," Archie said. In October 2017, a U.S. District Court judge in Los Angeles ruled that the case could move forward to trial. The judge concluded there was evidence supplied to support a link between playing Pop Warner football and brain injuries because of "acts or omissions by PWLS." 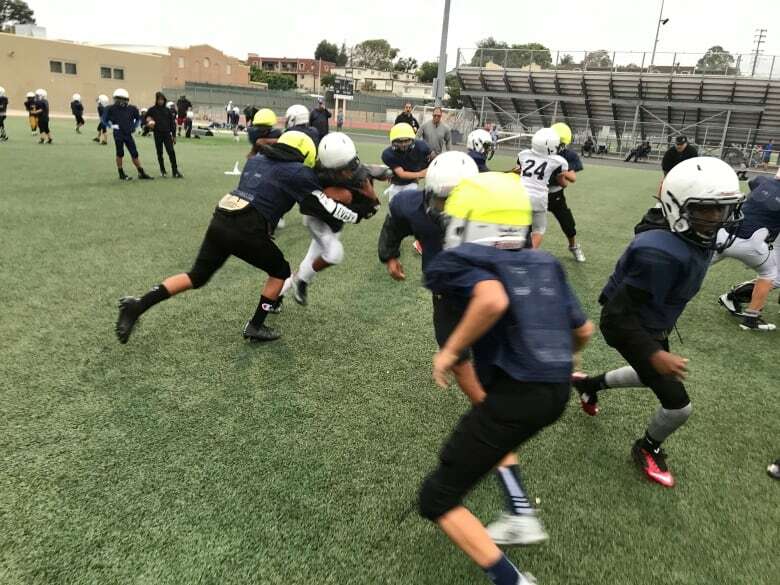 In a subsequent motion, Pop Warner's attorneys called the lawsuit "an orchestrated attempt to legislate through litigation" and "an ad hominem attack on the sport of youth football," the San Diego Union-Tribune reported. However, last February, the same judge rejected Pop Warner's motion to have the case dismissed. A trial date has been set for January 2020. Pop Warner did not return calls from the CBC requesting comment. If Archie and Cornell win, it could send shock waves through every level of organized football. But actually proving the link between youth football and long-term brain injury could be difficult. "Feel how squishy it is," said Dr. Chris Giza, director of UCLA's Steve Tisch BrainSPORT Program. 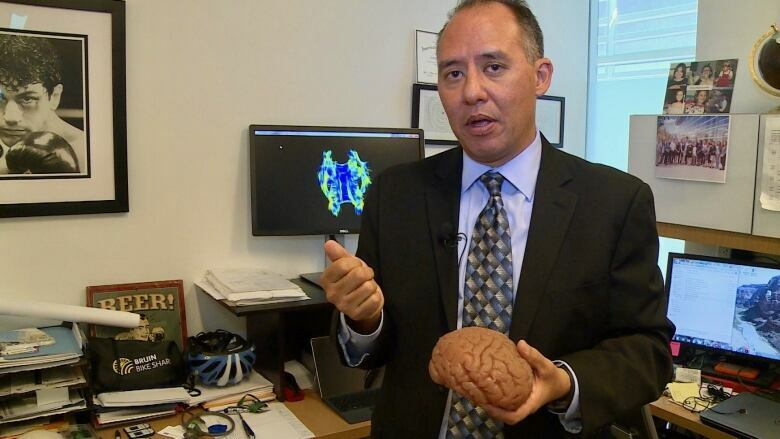 He's shaking a pinkish rubbery "bio-like" brain that mimics the density and consistency of a human brain. He hits the forehead of the fake head to simulate the impact of a football hit. "When the head rapidly accelerates or decelerates, you can see that the brain … is actually moving around and bending and stretching, and that's what can lead to the biological changes," said Giza. 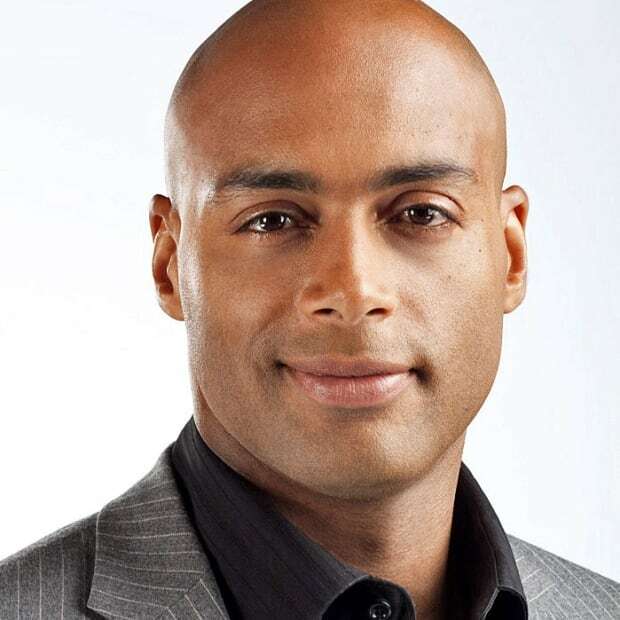 Giza, a neurologist who specializes in sport concussions and traumatic brain injury and has been a clinical consultant for the NFL, says there is evidence to suggest head shots are more damaging to young players because their brains aren't fully developed. "Collision sports are a greater risk," Giza said. "The insulation on the wires in the brain is called myelin, and the young brain has less of that insulation. And we know even from just electrical wires, wires that don't have insulation are easier to break. So, that is a vulnerability of being young." A 2018 study by Boston University's CTE Center published in the Annals of Neurology suggests those who played youth tackle football before the age of 12 had cognitive and behavioural issues arise about 13 years earlier than those who began to play at 12 or older. It supported an earlier Boston University study that suggested playing youth football could double the risk of behavioural problems and triple the risk of depression later in life. But Giza says there is conflicting data, which suggests scientists still don't fully understand what Giza calls "the most complex injury to the most complex organ." "There are a number of studies that have 50-year follow-up from individuals who played football or contact sports when they were in high school and looked to see whether or not they had increased risk of dementia, Alzheimer's, Parkinson's, and they didn't find those kind of things with thousands of athletes," Giza said. In 2015, the American Academy of Pediatrics reviewed some of the literature on head and neck injuries in football and found that the effect of repeated head impacts on long-term health "remains unclear." But, the researchers said, "repetitive trauma to the head is of no clear benefit to the game of football or the health of football players." "If subconcussive blows to the head result in negative long-term effects on health, then limiting impacts to the head should reduce the risk of these long-term health problems," they concluded. Giza says there are "no black and white answers." "The truth is really quite often somewhere in the middle," he said. "Not everybody who plays football is going to get brain damage. And not everybody who plays football is going to come out unscathed." In 2012, Pop Warner established new rules to limit contact in practice and now participates in USA Football's Heads Up Football player safety program to increase concussion awareness and teach proper tackling. 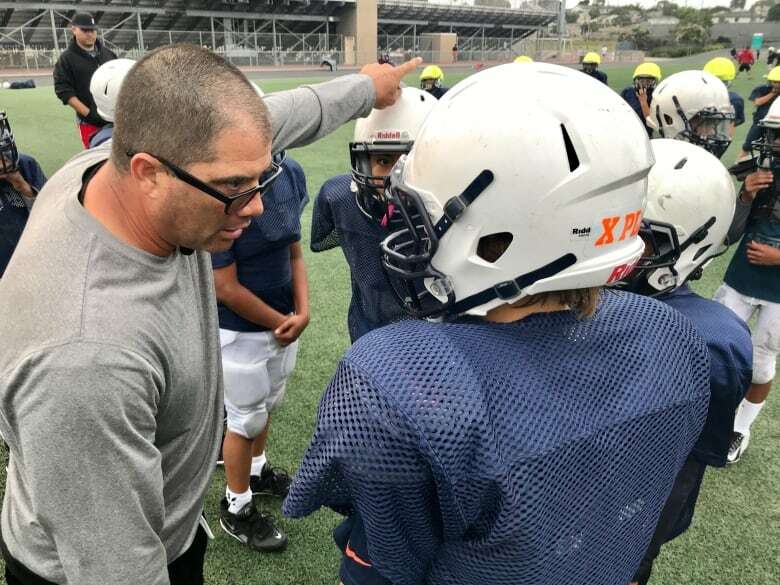 Wagner, the executive commissioner of Pop Warner's Southern California Conference, says his players are no longer instructed to use their helmets as a weapon. "That's how you learned football in the old days: you put your helmet on, and you tried to run into things with your head," Wagner said. "That's not the case these days. We are so far beyond that. Everybody's so aware of the potential risks that this might play in a person's life that we don't want to risk kids' safety." In a society gone "soft," Wagner says, football can help transform boys into men. But Archie and Cornell fear parents might not realize what they've signed their boys up for until it's too late. "Your kid only gets one brain," Archie said. "I think that if most moms would realize that and really wrap their head around it, there's no way they play Russian roulette with their child's brain."